Getting a roof installed or replaced shouldn’t mean you have to deal with a nail in your tire. That’s why, at AKVM, we take the extra time and care to protect your property from nails and other roofing debris. By taking measures to protect before roofing begins and clean after roofing is complete, our team dramatically improves your experience. Anytime roofs are repaired, installed or replaced, there is typically debris that falls into the gutters. 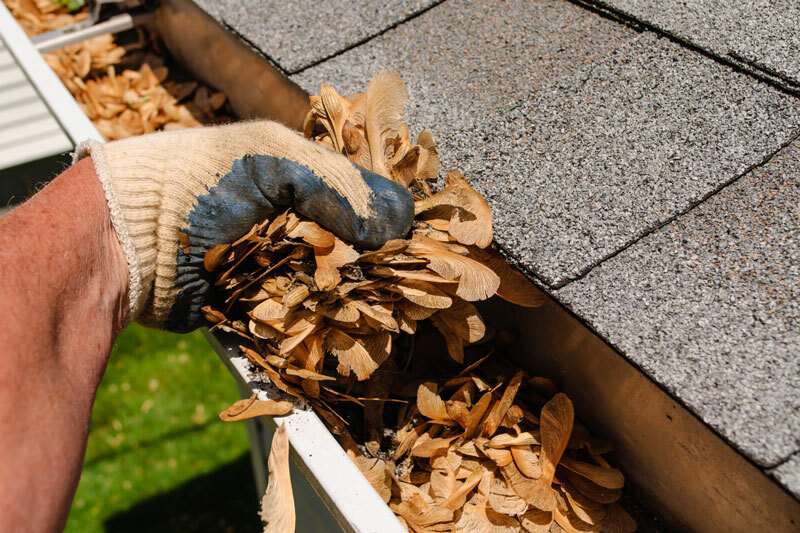 After your roof is installed or repaired, our team of roofing professionals will clean your gutters to ensure that all nails and other roofing materials are removed. 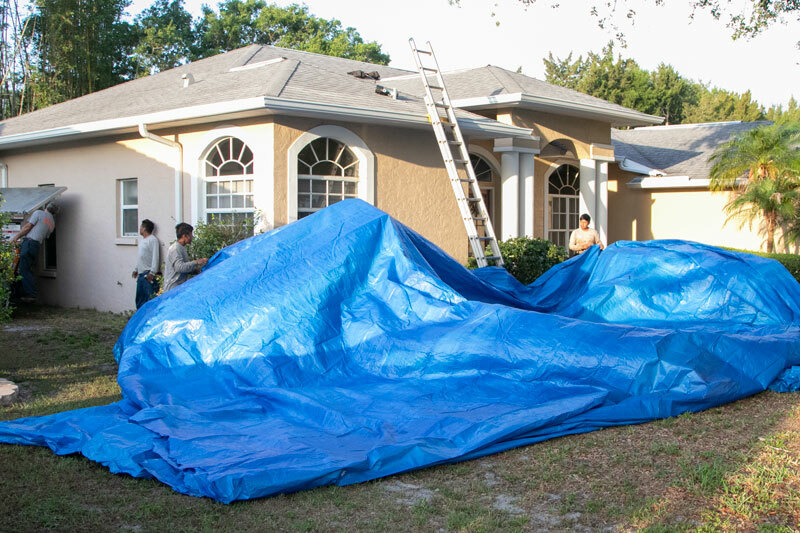 Our home protection process begins when we carefully cover all landscaping near the house with protective tarps to catch any roofing materials that may fall off during repair or installation. 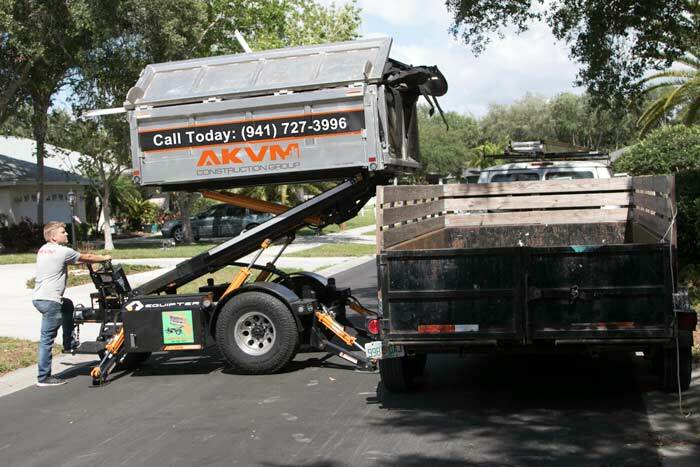 AKVM uses the Equipter roofing trailer, a specialized piece of roofing equipment designed to make cleanup fast and easy. This telescoping dumpster is motorized, with wide tires that don’t damage your lawn or landscape. Once in place we raise the Equipter up to the level of your roof, so that our professional roofers can easily throw roofing materials directly into the dumpster. Other roofers who do not use this important piece of equipment generally throw all material onto homeowners’ lawns, where it scatters widely on the long trip down to ground level, making debris very difficult to find and remove. At AKVM, we use the right equipment to make cleanup easy and fast. Roofs use a lot of nails which are naturally dislodged during the course of replacement or repair. Nails can be excruciatingly hard to find in lawns, mulch beds and driveways because they blend in so easily with their surroundings. 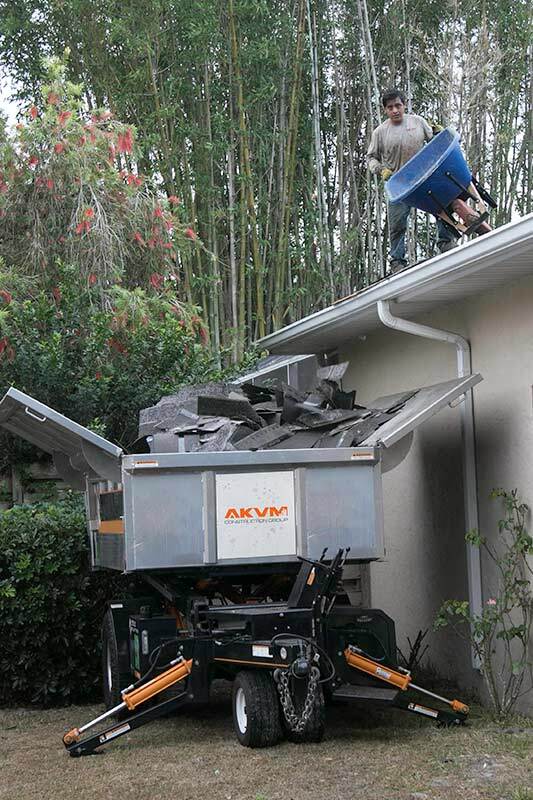 The roofing professionals at AKVM use a high powered magnet over your driveway, lawn and landscaping to easily capture all stray nails and metal material—wherever they may hide. At AKVM, we pride ourselves on looking out for our customer’s best interests and providing the best roofing experience in the business. That’s why, in addition to providing superior roofing services, our team takes the extra steps to protect your property and ensure your continuing satisfaction with our work. Providing Quality Roofing Services in: Bradenton, Sarasota, Anna Maria, Bayshore Gardens, Bradenton Beach, Bayshore Gardens, Bee Ridge, Bird Key, Cortez, Ellenton, Englewood, Fruitville, Holmes Beach, Lakewood Ranch, Lido Key, Laurel, Longboat Key, Myakka City, Nokomis, Oneco, Osprey, Palmetto, Parrish, Sarasota Springs, Siesta Key, Tallevast, The Meadows, Vamo, Venice, Warm Mineral Springs, and Whitfield.